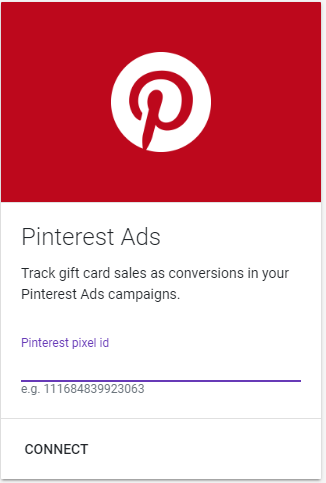 If you advertise your website or gift cards via Pinterest, you will want to have us track gift card sales as possible conversions in your Pinterest Ad campaigns. To do this, you just need to give us your Pinterest Pixel ID. 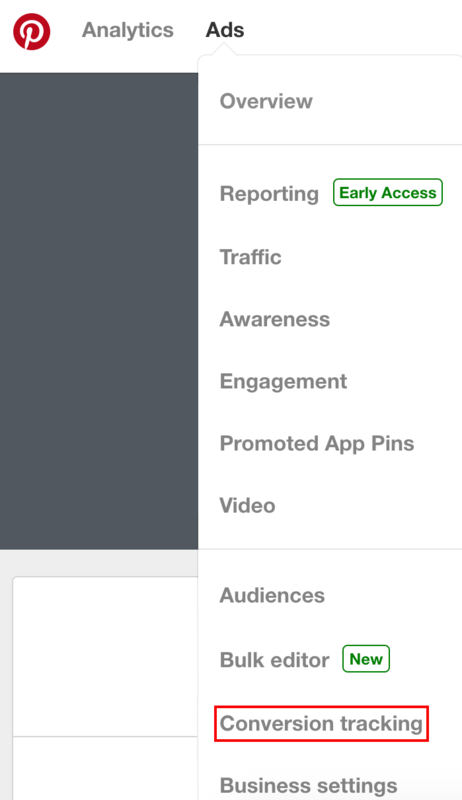 1) Log into your Pinterest Ads Manager account. 2) Open the “Ads” drop-down and select “Conversion tracking”. 3) Copy the numeric “Universal Pinterest Tag” id for the desired pixel (if you have more than one) and input it into the Link Manager Setup tab. Once you've saved that card, we'll fire a conversion event to Pinterest for every gift card you sell, some of these sales will have come initially from a click through from one of your Pinterest ads and will record the conversion against that ad.